Depending on the needs of the hotel developer, lender, or investors a Comprehensive Hotel/Resort Feasibility Analysis may be required. The intent of the research study is to determine the viability of the market to sustain a specific successful hotel/resort development. 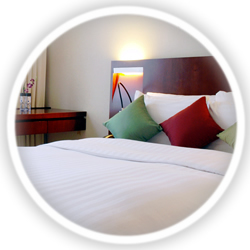 The Comprehensive Hotel/Resort Feasibility Analysis involves onsite research and presents, in various formats, the subject market’s economic data, specific lodging demand characteristics, primary and secondary competitive lodging supply, detailed site evaluation, common and specific issues, risks, and opportunities for hotel development. For a Select-Service or Full-Service style hotel this report can also examine the feasibility of food and beverage services, including restaurant, lounge and meeting/event center facilities associated with the hotel development project. The Comprehensive Hotel/Resort Feasibility Analysis presents detailed research data to support potential hotel/resort development. This comprehensive macro and micro market research report provides all of the statistics and research data used to formulate the presented conclusions and recommendations. In the course of performing this research should the market lack the support required for the hotel/resort, we would discuss this with you to determine if the Comprehensive Hotel/Resort Feasibility Analysis should be completed. A preliminary analysis of Benchmark Development Costs support levels, Operational Proforma and Investment Analysis is also provided. This report is considered a working document that can be revised as the development process for the hotel/resort progresses. HMI maintains a working relationship with our clients and will be available to provide assistance throughout the development process. This Comprehensive Hotel Feasibility Analysis is customarily required when pursuing the financial components of the hotel development, including equity and lending structures for the investment. Our Comprehensive Hotel/Resort Feasibility Analysis is widely accepted by financial lenders, equity participants, and all major hotel companies. This type of report provides insightful information from which the developer can base future market analysis and development plans.